Revitalize with a daily detox. Love Beauty and Planet Radical Refresher Shampoo, infused with Australian tea tree oil and woody vetiver, naturally revitalizes and refreshes lackluster hair and leaves you smiling ear to ear. Infused with Australian tea tree oil, this shampoo detoxes and gently cleanses and volumizes hair. It clears away impurities that bring your hair down, so you can feel oh so good, clean and alive. Hit the refresh button and treat your hair to a dose of love. 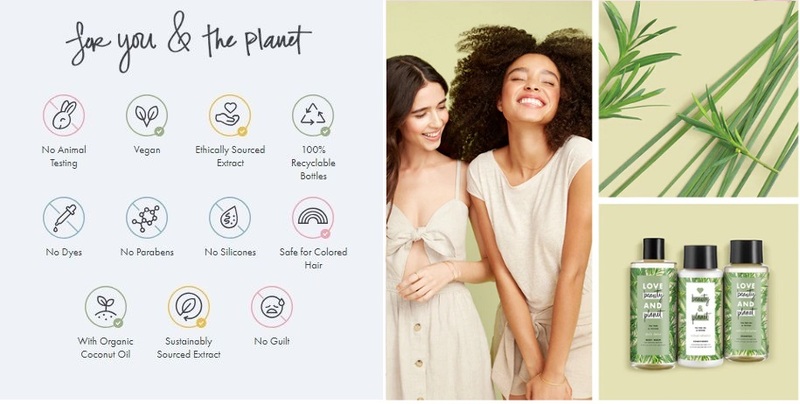 Love Beauty and Planet Radical Refresher Conditioner, infused with sustainably sourced Australian tea tree oil and woody vetiver, offers a rich conditioning that revitalizes hair’s natural strength. Our fragrance is infused with a traditionally powerful and stoic scent- vetiver. Its radiant citrus notes mix into a caring blend of precious woods for a refreshing jolt of energy in the shower. Love this shampoo and conditioner! I love tea tree smells. my hair feels soft and smooth after using. best to use both products together! After 1 week of usage, I can feel that my scalp is not as oily as before! The conditioner leaves my hair soft and silky too. The only downside is that the teatree smell might not be to the liking of everyone, but I like it! Light, refreshing fragrance. Helps in making scalp less oily. Love the conditioner that reduces frizz. Highly recommended. Thanks! Scalp feels clean and refreshed after wash. Just a very small amount of shampoo and conditioner needed for a good wash! Nice and not overpowering scent. Amazed by the smell that can last very long unlike other shampoos. Will continue using!